KAMPALA– Serena-based Spark TV Uganda unveiled a new team to take charge of its flagship show Live Wire. 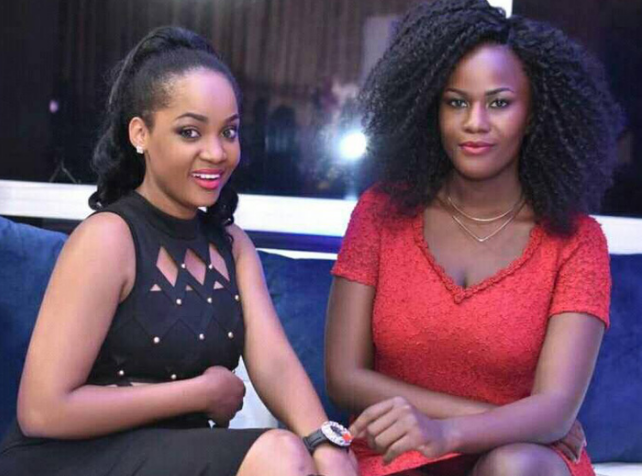 The team led by Producer Isaac Kugonza will have Gabie Ntaate and Precious Remmie as Presenters to replace Zahara Toto and Anatalia Ozzy who were recently poached by Next Media group’s Sanyuka Television. The show will also unveil new features and episodes as part of the plan to refocus the show. Next Media also on Monday afternoon unveiled the duo at the Kamwokya based station. “Welcome to the winning team Zahara Totto and Anna Talia Oze,” reads the tweet on NBS TV timeline. The two will now present a similar show on Sanyuka TV. Sources close to the Serena based TV revealed to this website that former the Live Wire presenters Zahara Toto and Anatalia Ozzy demanded a salary increment which was not approved by top management. “They wanted more money since the show was increasingly becoming popular. Unfortunately, top management could not meet their demands,” revealed the source. In a similar trend, NTV also confirmed that the station news chief and seasoned news anchor Maurice Mugisha left the Serena based station. NTV announced on Twitter that they have now appointed Ms Josephine Karungi as acting Head of News to fill the void left by Mr Mugisha. “She [Josephine Karungi] replaces Mr. Maurice Mugisha,” NTV posted on social media adding she will be reporting to the General Manager Editorial, Mr Daniel Kalinaki. NBS TV has over the years lured number journalists from NTV Uganda. Others include Rukh-Shana Namuyimbwa, Wisdom Kiyonga, and Dean Lubowa Saava and Sheila Mugisha who was a features reporter at NTV. Waswa Chrismel of News Production team whose contract was allegedly terminated over integrity issues. Anita Fabiola who also doubles as former Miss Uganda West was hosting Be My Date before she was knifed because of indecency. Charles Odongtho is now a top political commenter at NBS TV, Charles used to do the Fourth Estate show on NTV every Sunday at 10 pm alongside Charles Mwanguhya. Samuel Walugembe, formerly the chief graphics at NTV, is now utilizing his skills at NBS. Godfrey Badebye was one of the top cameramen at NTV before he decided to leave the station. Competition in the television industry has seen industry players jostling for the small number of creative journalists leading to continued Cross-Overs.